Our hearts can open up in wonderful spiritual consolation and joy before the testimony of God’s love and glory! And He communicates these characteristics not only through the special revelation of His Word but through the general revelation of His creation. The creation declares its Maker– “hearts unfold like flowers”… “opening before the sun”, as the second line of van Dyke’s hymn puts it. And this is a demonstration of joy, the theme of the hymn written to fit Beethoven’s melody “Ode to Joy”. Indeed, “joy unspeakable and full of glory” (1 Peter 1:8) is what we have to look forward to in the Lord! And joy is the great sentiment of Christmas. And then to realize that our great and awesome God entered our human condition Himself in the most humble way for our corporate and individual redemption into life eternal with Him is truly good news! 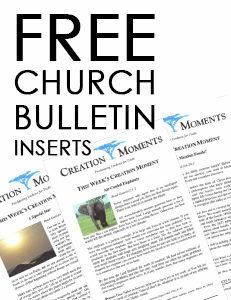 We produced 270 two-minute educational “Creation Moments” programs that are broadcast worldwide. We also added 15 new radio stations (4 in Spanish) so millions of new people have the opportunity to hear the gospel and the truth about biblical creation. We have totally redesigned our website, making it easier than ever for people to access our vast library of free resources on their cell phones and computers. This was a huge undertaking, and the work is ongoing. Together, we are impacting our world! I wish I could share with you all of the wonderful comments we’ve received during the past year. Of course, they are thanking you, too, because you make it possible for us to carry on this vital ministry. “I really appreciate hearing you uncover God’s wonders.And I chuckle daily as you drive another nail in the evolutionist coffin.” –D.C. “I have been greatly blessed and encouraged by your program! My wife and I have been missionaries in Japan for 26+years. Most Japanese are totally shocked that anyone does not believe in evolution.Japanese love nature, so it is good to share examples from God’s creation!Thank you and keep up the good work!” – R.G. Won’t you help us with a special year-end donation? Wise biblical stewardship mandates that we honor Christ with our God-given resources. As you review your financial goals at year-end, we ask you to consider one last gift to Creation Moments in 2018. We believe that the Lord will return soon, but until that blessed day arrives, we have so much to do! Please pray for us and ask the Lord how much He wants you to give to support the work He is doing through our ministry. God bless you for partnering with us as we strive to impact millions of people with the truth of biblical creation … and proclaim the power of the gospel of Christ here and around the world! Countless blessings to you and your family this Christmas season! P.S. 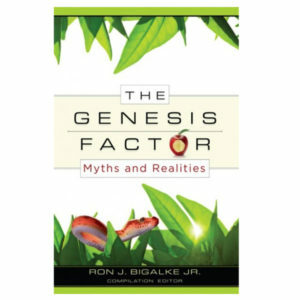 To thank you for a gift of $10 or more, I want to send you a thought-provoking book titled Questions God Asks. God knows all things. Yet, as strange as it may seem to us, the Bible is filled with questions that God asks. 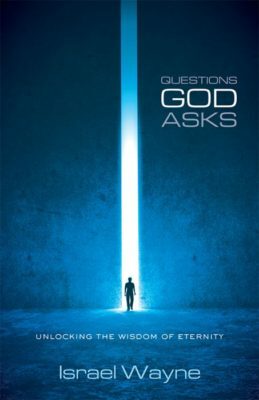 This 144-page book answers the question of why our omniscient God asks so many questions! It also looks into the answers found by Job, Adam,Cain, Moses, Joshua, Elijah and others who were asked penetrating questions by God. Like those men, you’ll discover more than you ever knew about human nature, relationships, origins, yourself … and even God! To get a copy of this amazing book, send us a year-end gift of $10, $25 or more. You may click here to make your donation or call us at 1-800-422-4253 during regular office hours. Remember that a cash gift postmarked by December 31 can help reduce your 2018 federal income taxes. If you itemize, the higher your tax bracket, the greater the savings for your charitable deductions. To receive a 2018 tax deductible receipt, donations must be postmarked by the US Postal Service on or before December 31, 2018.